U.S. whistleblower Edward Snowden is urging the Canadian government to accept all seven of the people who sheltered him in Hong Kong while he was fleeing prosecution as refugees. Two members of the group, Vanessa Rodel and her daughter seven-year-old Keana, arrived in Canada last week. The whole story reads a bit like a movie script. And why not? The reason Canadians know their story at all is because filmmaker Oliver Stone made a movie about Snowden, and along the way — at some point during the scripting process it’s believed — information got out that revealed how Rodel and Keana’s lives — along with the rest of the group’s — were intertwined with Snowden’s. Back in 2013, Snowden leaked classified documents from the U.S. National Security Agency, where he had been working as a contractor. The documents revealed a massive government surveillance operation, and the United States declared him a traitor. Snowden fled to avoid prosecution, at one point winding up in Hong Kong. That’s where he met Rodel. She and two other families — refugees themselves having fled the Philippines and Sri Lanka — sheltered Snowden in their tiny homes in Hong Kong while he was on the run. Now, from his apartment in Russia, where Edward Snowden lives in exile, he is pleading with Canada to let in the other families — the three adults and two children who were left behind. 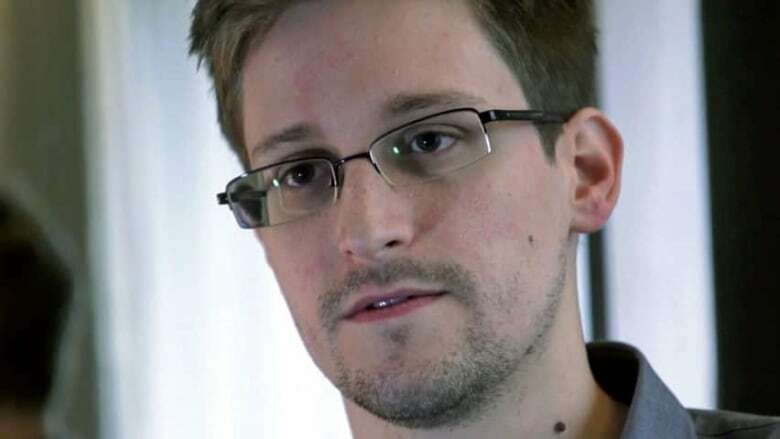 Snowden found himself living with the families in Hong Kong six years ago because of a Canadian lawyer, Robert Tibbo. He was Snowden’s lawyer and he was also working for the families, trying to keep them from being deported and trying to get them safely out of Hong Kong. “I would say this one guy… is perhaps the reason [the families] haven’t been sent back yet,” Snowden said. Snowden describes what the refugee families face daily living in Hong Kong. 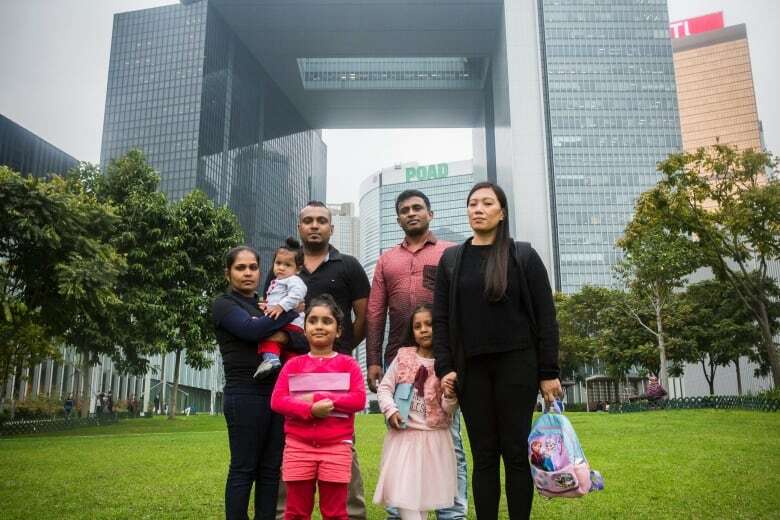 Rodel and Keana, another refugee couple and their two children, and a third man were all living as refugees in Hong Kong in 2013. They were poor, prohibited from working by the Hong Kong government, living in cramped spaces. “The bathroom sink was the kitchen sink,” said Snowden. Over a period of about three weeks, he crowded into each of the families’ three homes with them. It wasn’t long before he moved on to Russia — but it was long enough to have a negative impact on Rodel and the others. Their lives were already difficult, Snowden said. And once the Hong Kong government got wind through the movie leak that the families had sheltered Snowden, their situation got worse. Snowden says the government basically retaliated, removing their refugee stipends and access to food and housing. Arsenault asks Snowden what it was like to realize that the very people who had helped him were being made to pay for it. That’s when Snowden says the effort to get the families refugee status in another country began. He believes Canada is best positioned to help them. The paperwork requesting asylum from Canada was filed in early 2017 and Snowden says their situation is dire. He says the families will be deported to Sri Lanka where they where they claim to face torture and death threats. He is enormously grateful that Rodel and Keana are here, but says there is clearly something preventing the other five from being immediately brought to Canada, too. That’s because the United States still considers Snowden a traitor and he still faces charges in the U.S. related to his exposure of what was considered state secrets. Snowden says that shouldn’t matter.